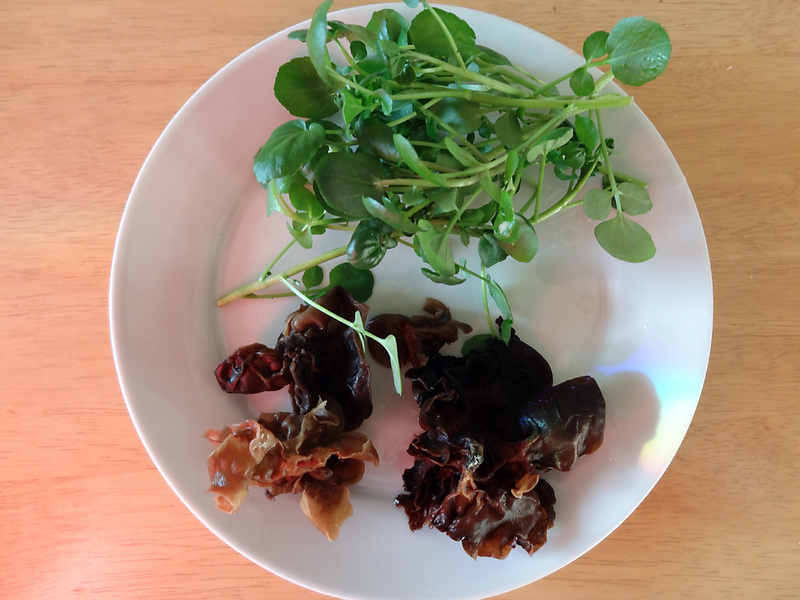 Here are some photographs of a meal I recently hosted for a few of my friends. I normally do a post connected with my Christmas meal or cakes but this year I will be away for the holiday season, so this is serving as a substitute. I regularly have a few friends round on a Friday evening for some wine a chat and perhaps a few nibbles. 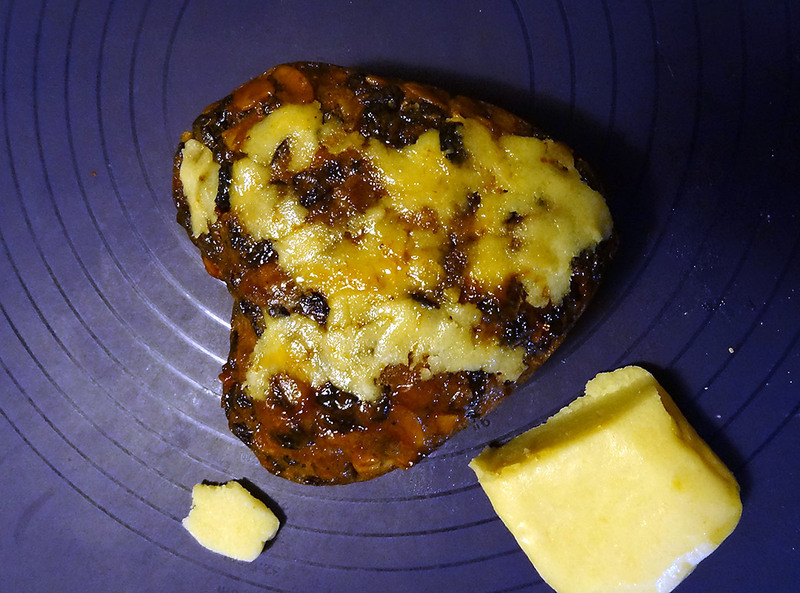 For Christmas I decided to do something a little fancier with a variety of tasty dishes. Just a few dishes to go! 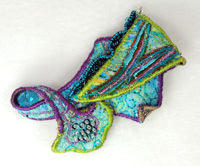 In addition to the food, wine and chatter, we also spent our time doing some felting. Sorry about the image quality – just quick pics on a phone! 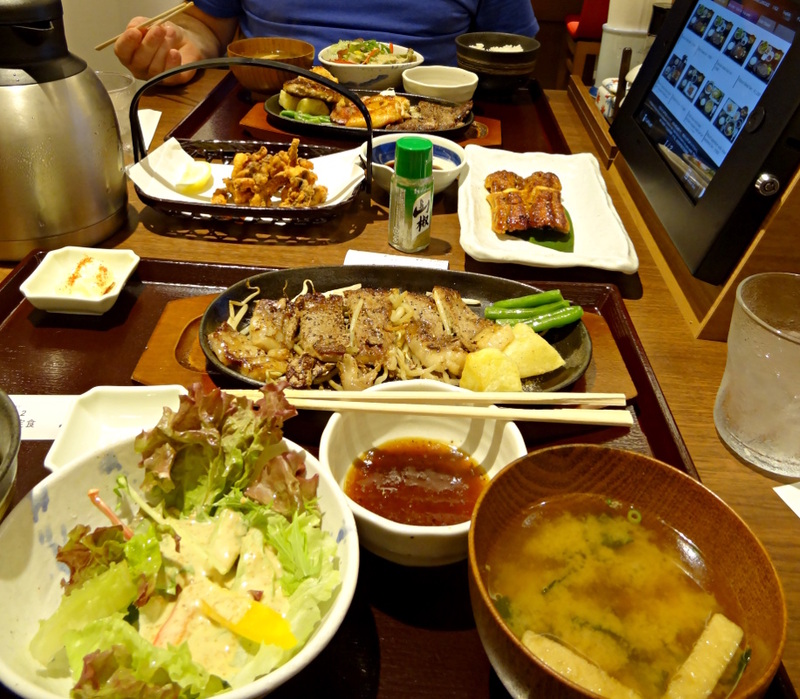 Alex and I both love Japanese food but eating in fancy restaurants in Japan can be extremely expensive. 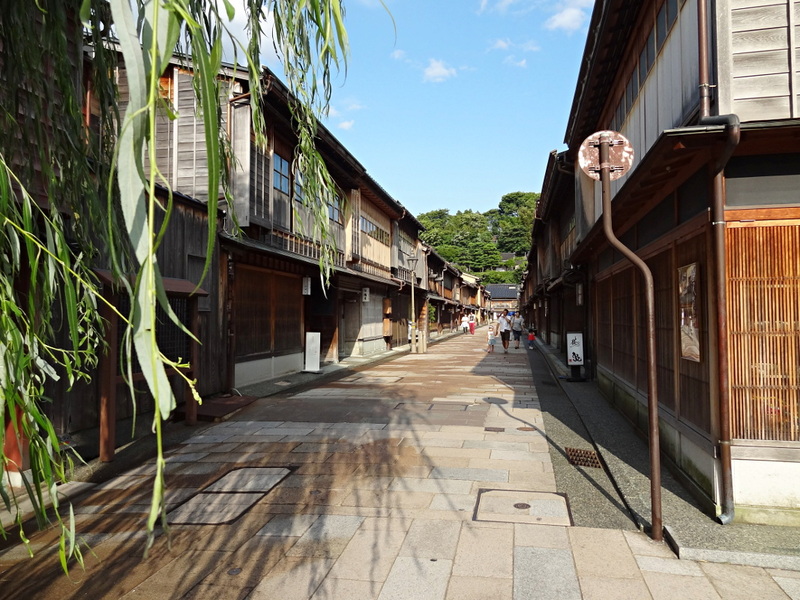 On our trip there last summer our target was to eat as cheaply as possible but without entirely missing out on the wide variety of culinary experiences Japan can offer. 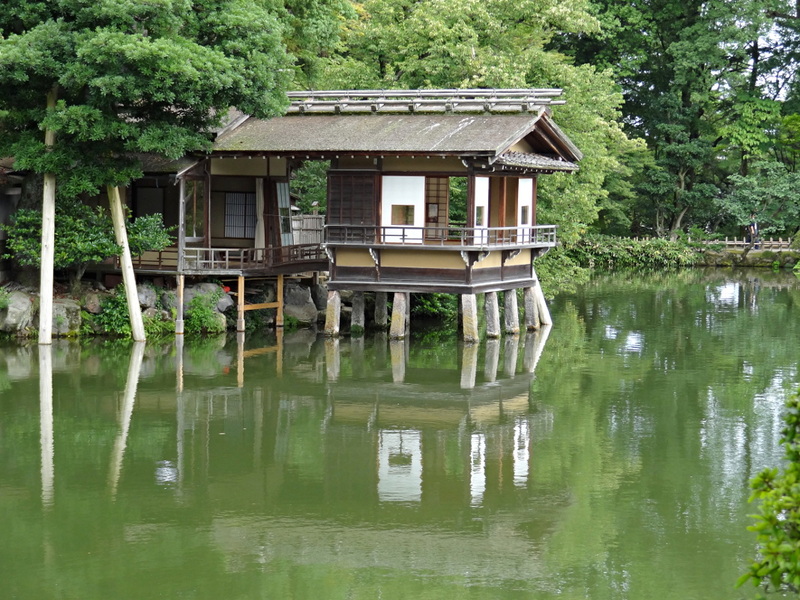 Of course you could stay in Japan’s cities without trying anything beyond McDonalds and KFC (we used to know people who did just that!) but you might as well stay at home. Noodles are the other obvious low cost food option that is available everywhere but is lacking a bit of variety if you choose it every day. 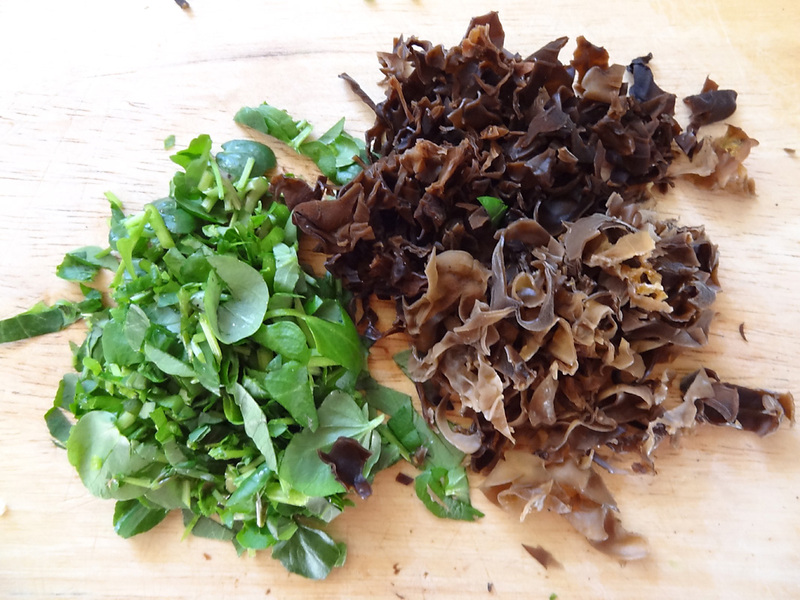 Our approach was to eat as cheaply as possible for most meals and then splash out a bit more once in a while for something special. 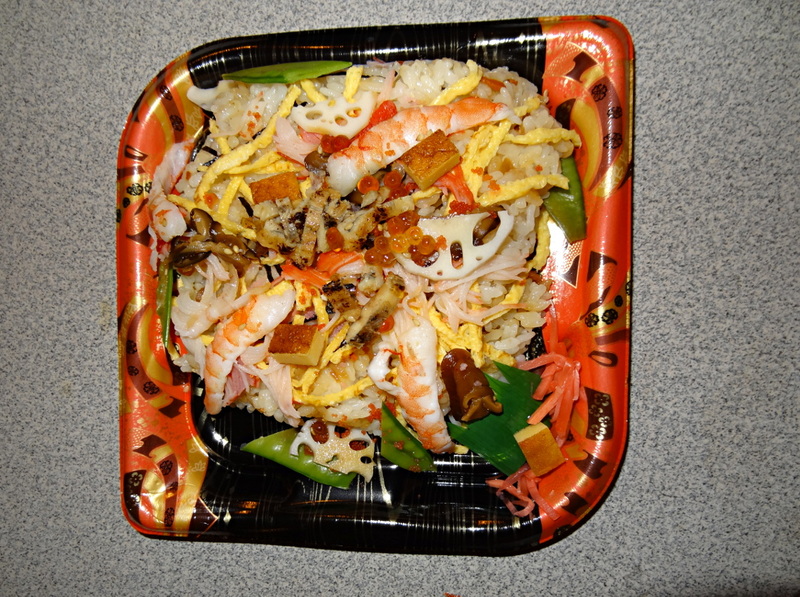 Most days we ate convenience food for at least one meal. 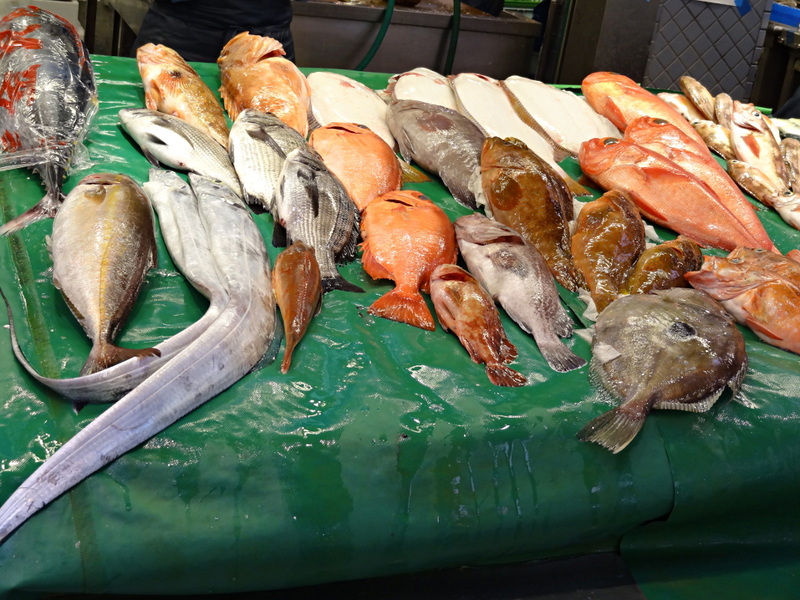 Fresh ready to eat meals in Japan are very different from Western equivalents. 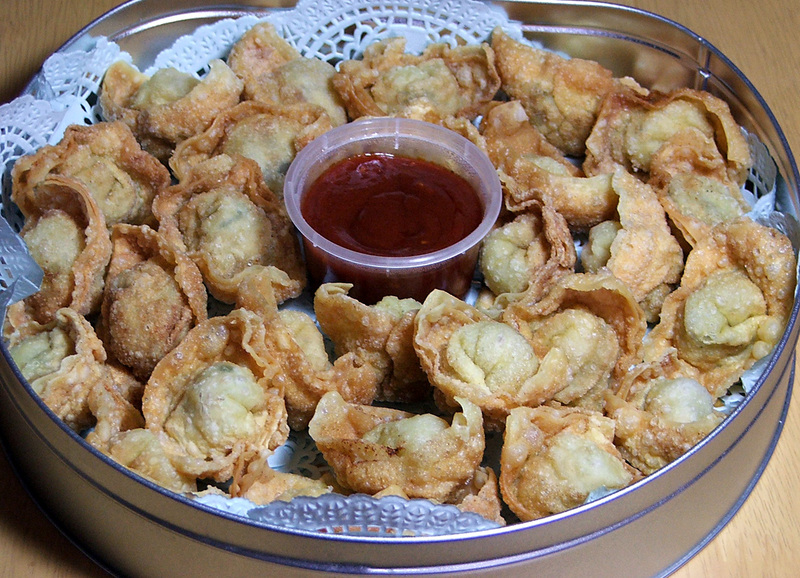 Typically they consist of meat and vegetables over noodles or rice in a plastic tray or bowl but things like dumplings or sushi are also available. 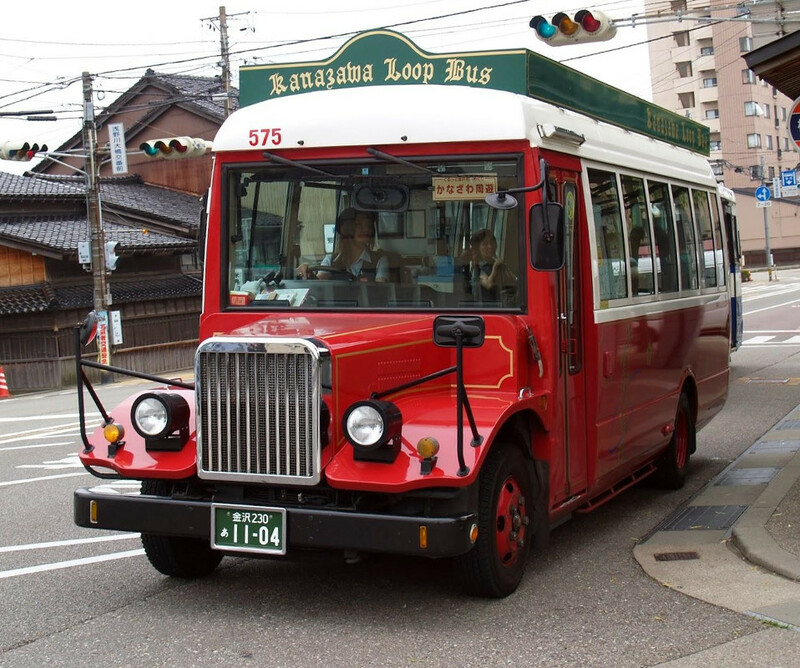 We started out using convenience stores such as Seven Eleven. These were good but the food had a mass produced feel and seemed a little pricey for what you got. 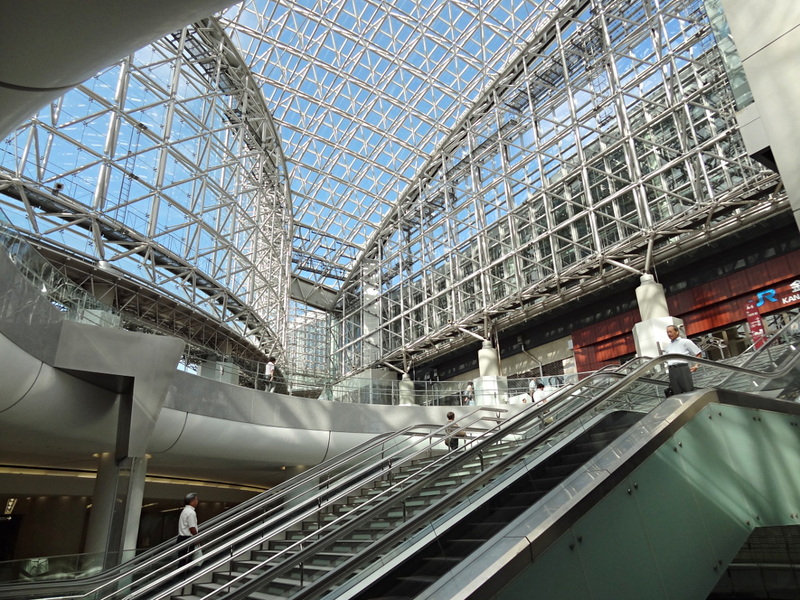 Later we discovered that big supermarkets and department store food halls offered even better choice and value. 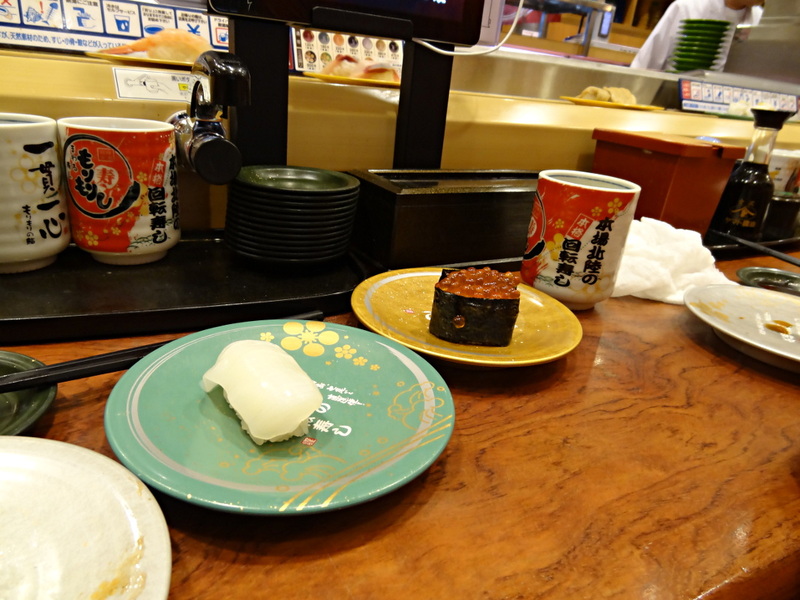 Japanese supermarkets time-stamp all sushi and start marking it down after about four hours. 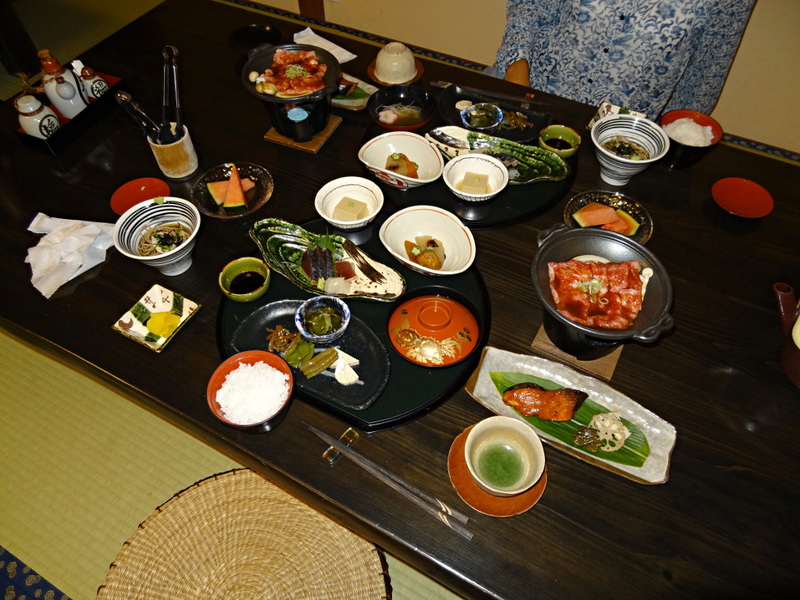 When we stayed in a traditional inn or Minshuku we splashed out on the Japanese breakfast. 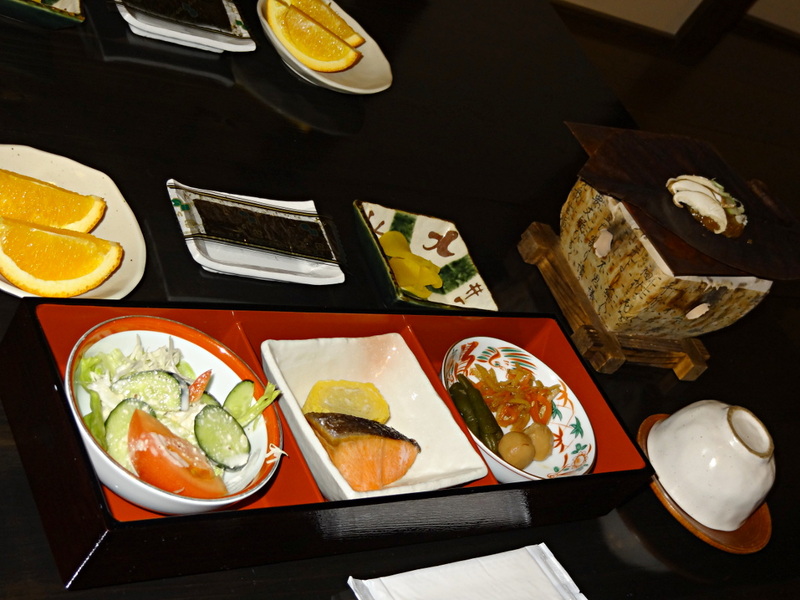 Fish, rice, pickles and miso soup are not everyone’s favourite start to the day but we love it. 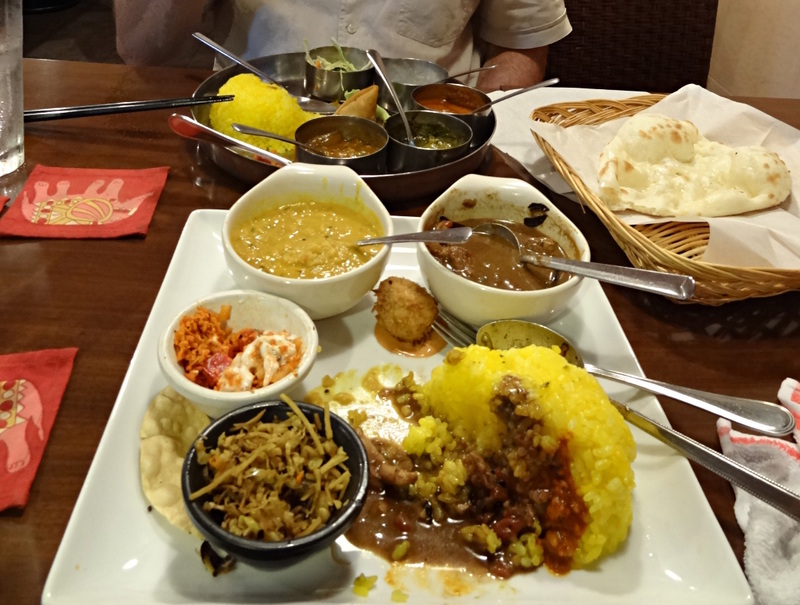 We also splashed out on a wonderful evening meal at an inn one night. 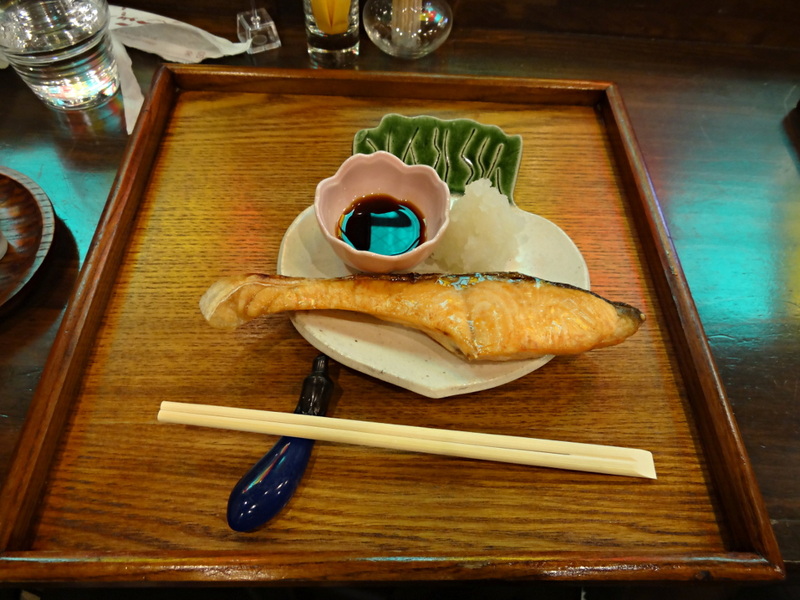 Not all our meals were traditional Japanese food. 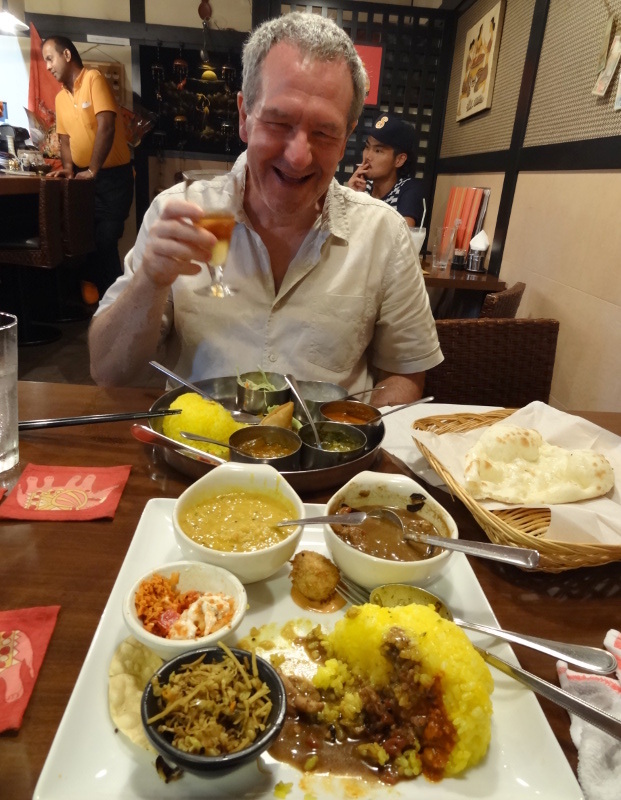 One night in Kanazawa we had a very fine Sri-Lankan curry meal. On a rainy afternoon in Matsumoto the only eating place we could find open was a Japanese “Hawaiian” themed burger restaurant which proved to be amazing. 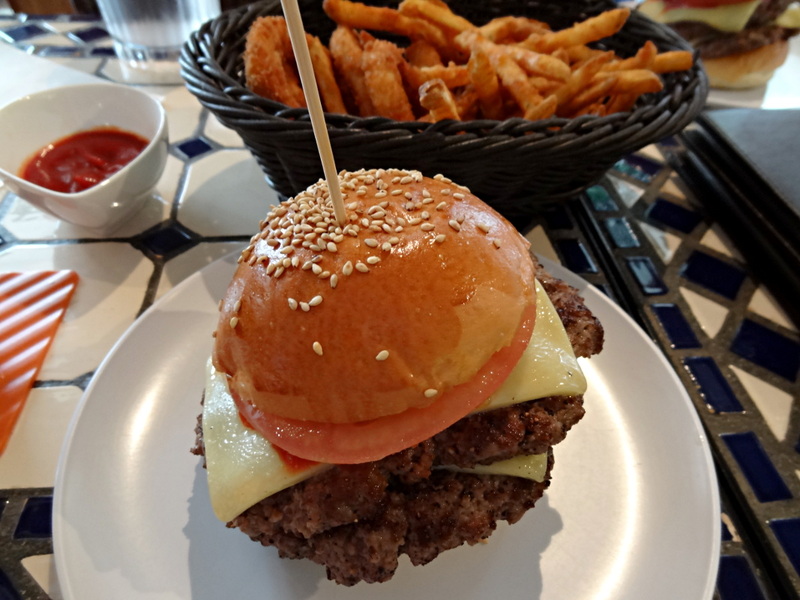 The burgers were pure steak and made on the premises – a real surprise! 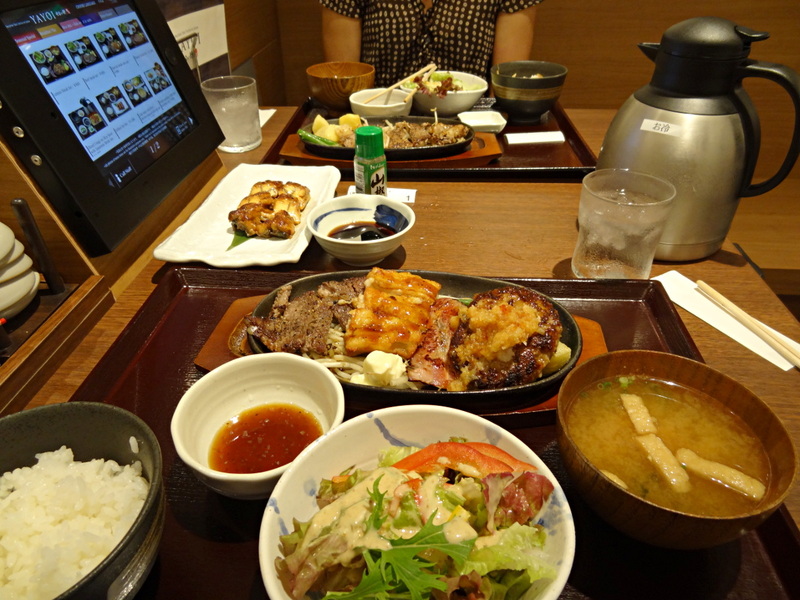 Japan has many different budget restaurant chains serving all types of food. 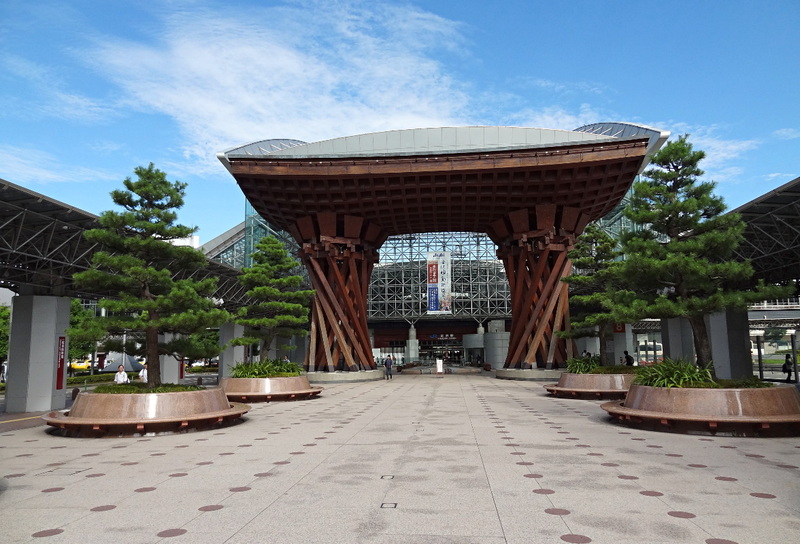 We decided that our favourite was “Yayoi”, a big chain with outlets all over Japan (and a number of other Asian countries). 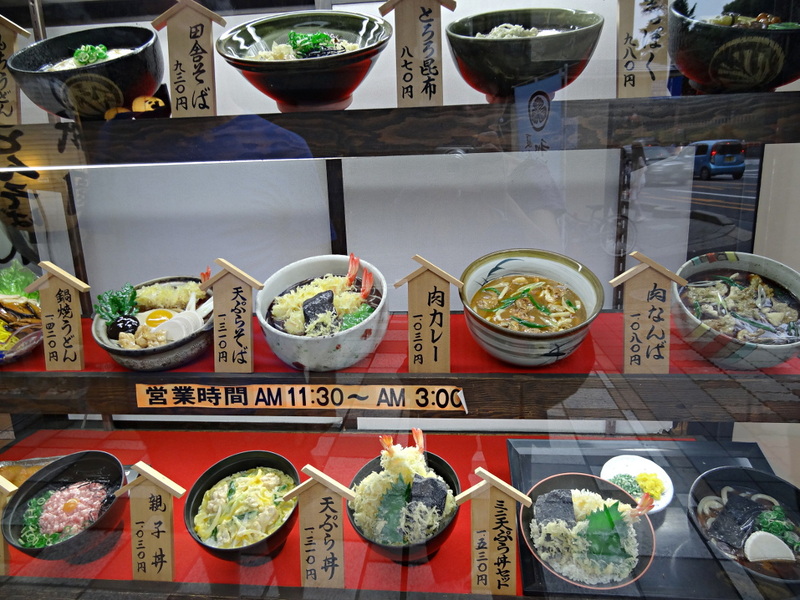 Finally, you cannot talk about food in Japan without mentioning the ubiquitous plastic food models on display outside almost every budget restaurant. 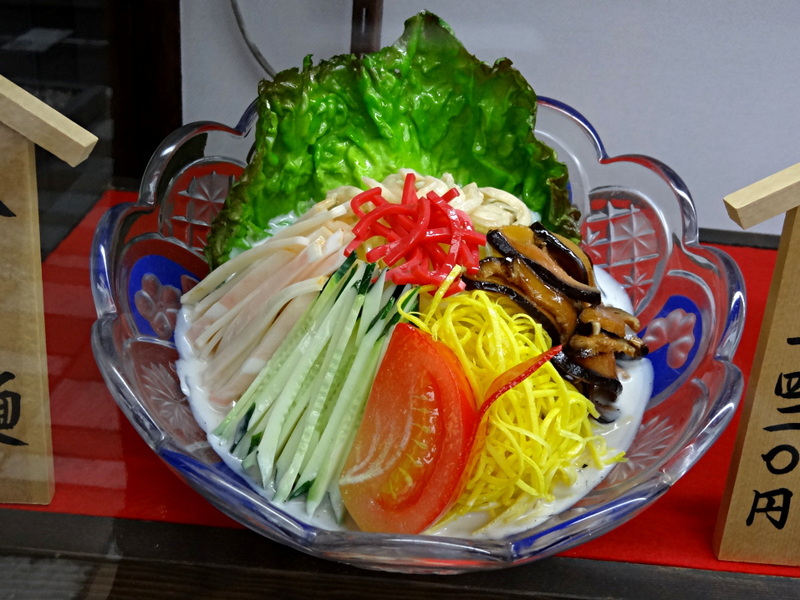 While many of the big city food outlets now make an effort to cater for customers who cannot read Japanese, the food models are still a great help in deciding what you are going to eat. 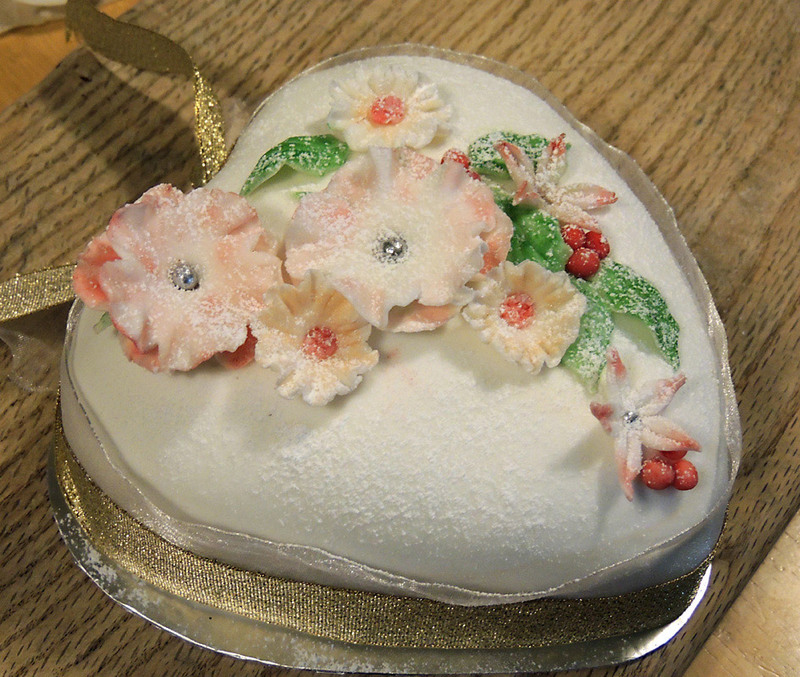 It is becoming something of a tradition for me to post photographs of my Christmas cakes each year. This time we were away for Xmas and this meant that my approach was simpler – basically just some cut-out flower shapes and colouring. Even so, I was quite pleased with the results. Below are the small cakes I made for friends and relatives. 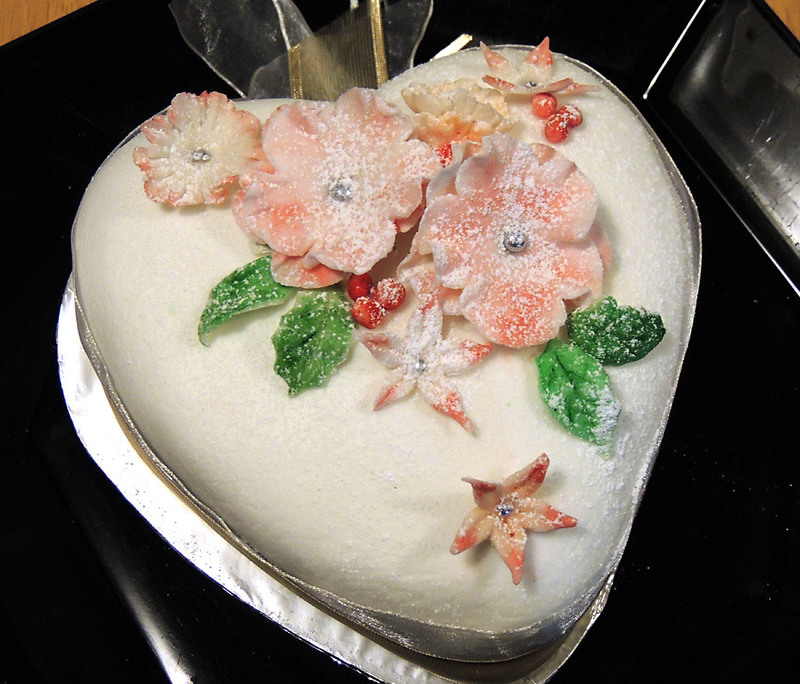 An individual hand-decorated cake is always a great gift. I would like to wish everyone who follows this blog a very happy and fulfilling New Year! 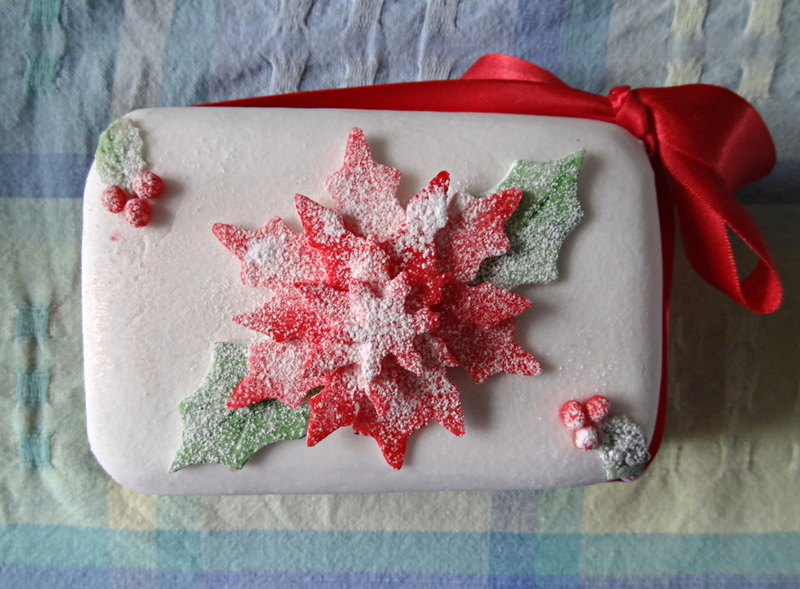 This year I made and decorated small Xmas cakes to give as gifts. 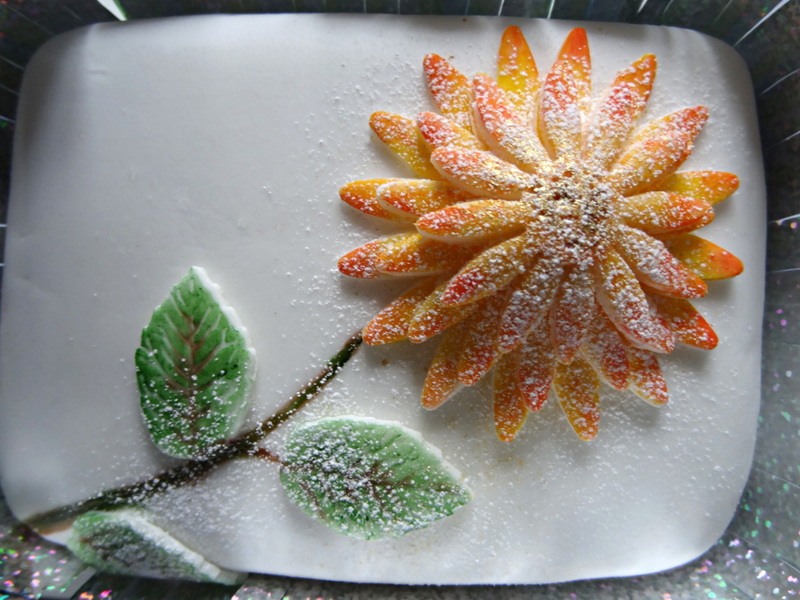 Rather than the marzipan and fruit decoration I used last year, I went back to using icing to make the flowers and leaves for this year. 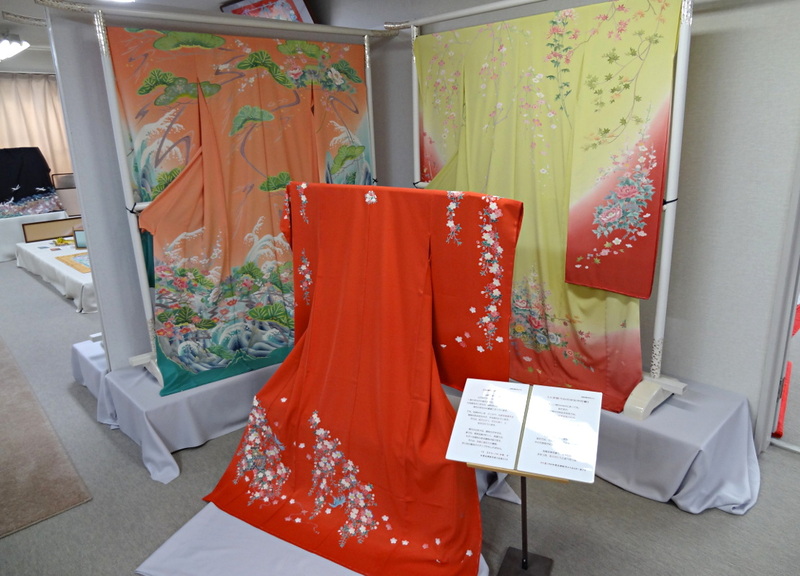 Here are a few photographs showing how I did the decoration. 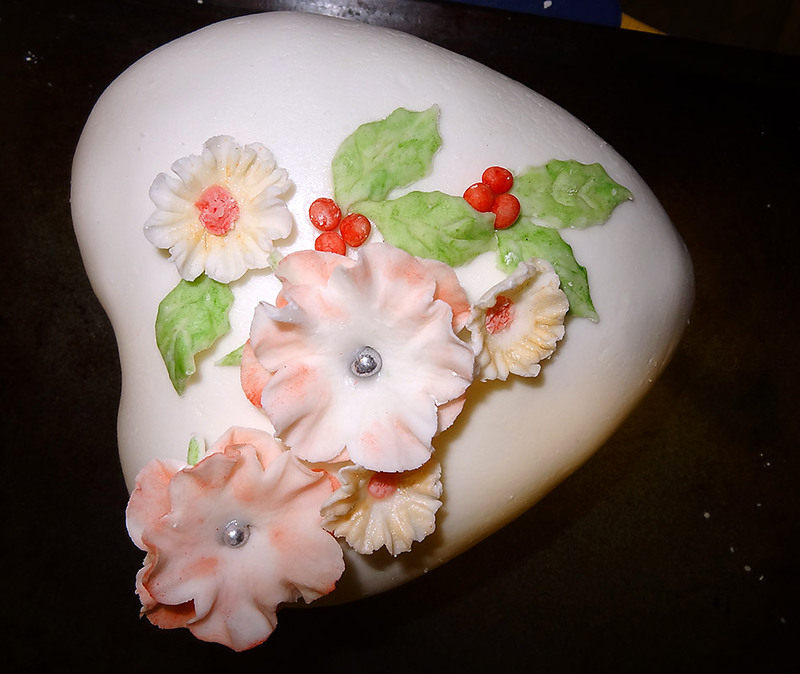 My first step was to level the uneven tops of my cakes using a little apricot jam and small pieces of marzipan. 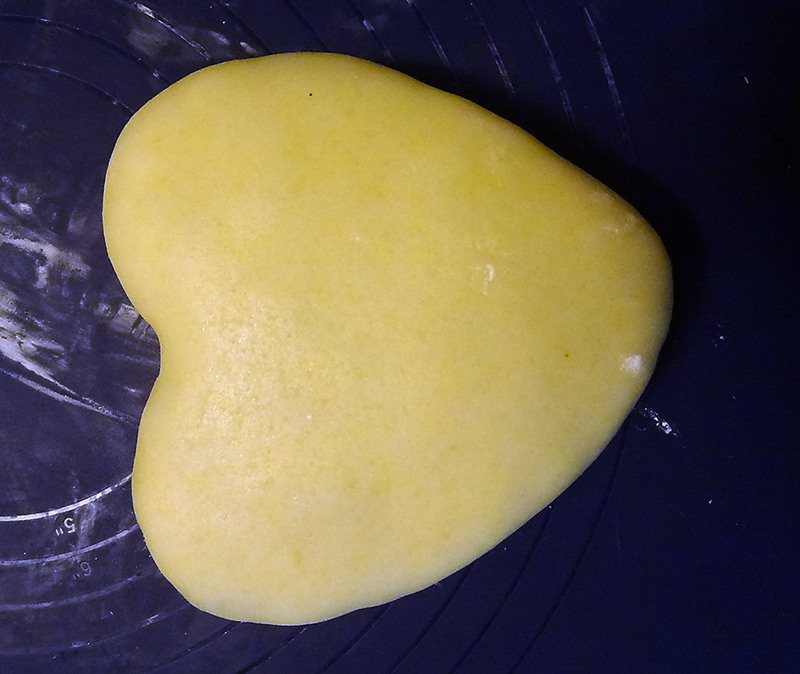 Next, a layer of marzipan was added over the whole cake. 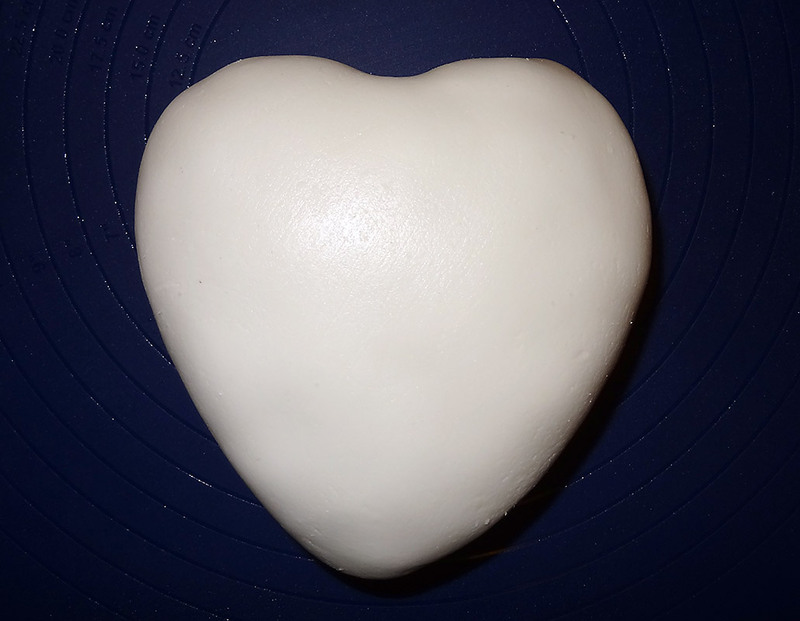 The marzipan was followed by a nice smooth coat of icing. 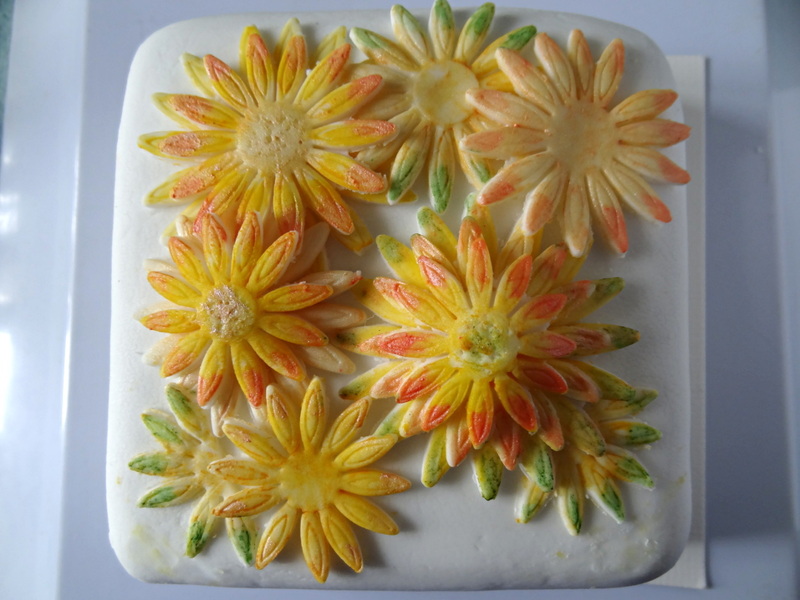 Using a suitable cutter I cut basic flower shapes from thinly rolled icing. To prevent sticking I make liberal use of cornflower. I added some 3-dimensional form with the aid of a toothpick. I have both liquid and powder forms of cake decorator’s colours. Here I used a little of the powder type to colour the flowers. 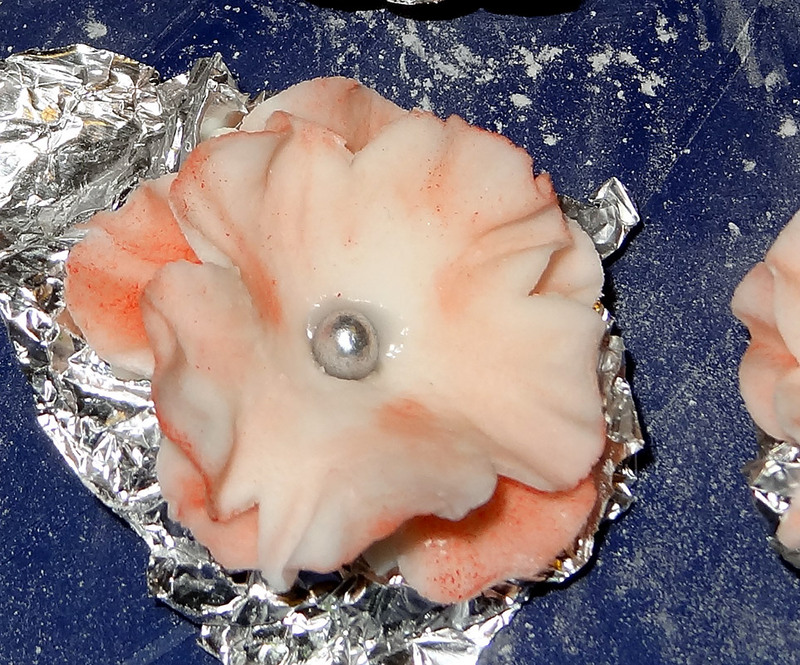 The final form of the flowers was set by placing the soft icing shapes into a pre-shaped bed of kitchen foil. 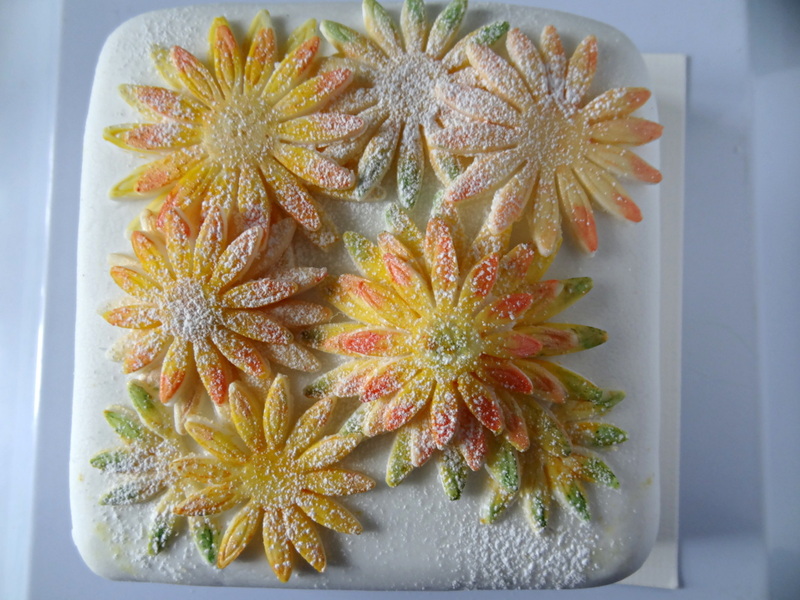 The flowers were then allowed to stiffen before adding them to the cake. 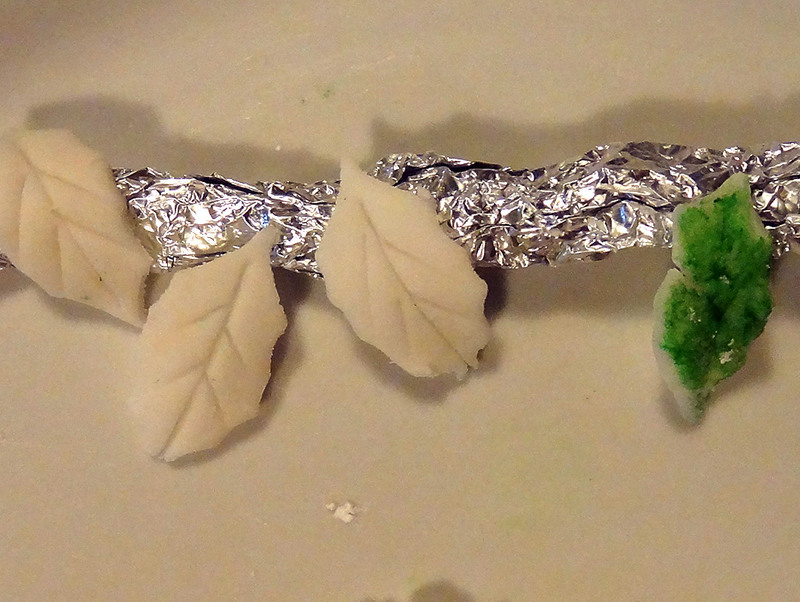 Flat shapes such as leaves are much quicker and simpler to make. 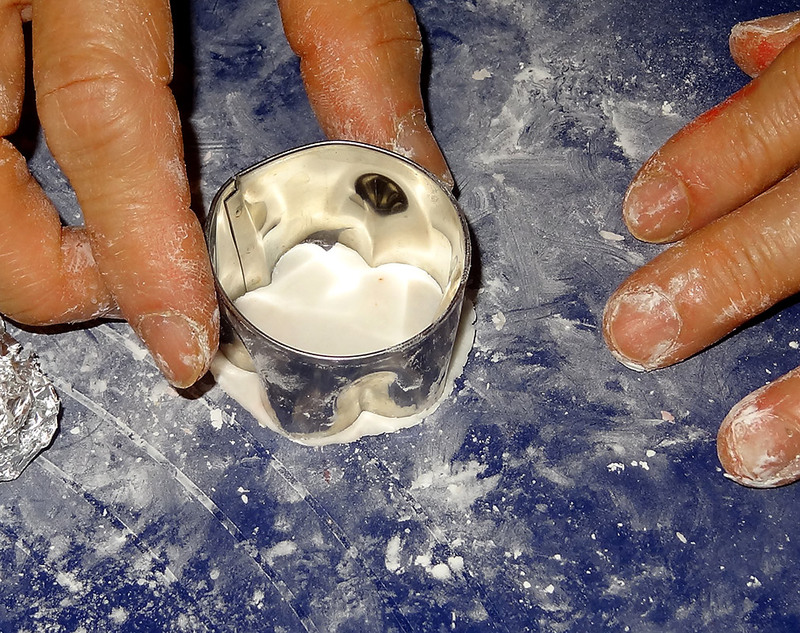 When all the pieces are ready they are attached to the cake using drops of icing. 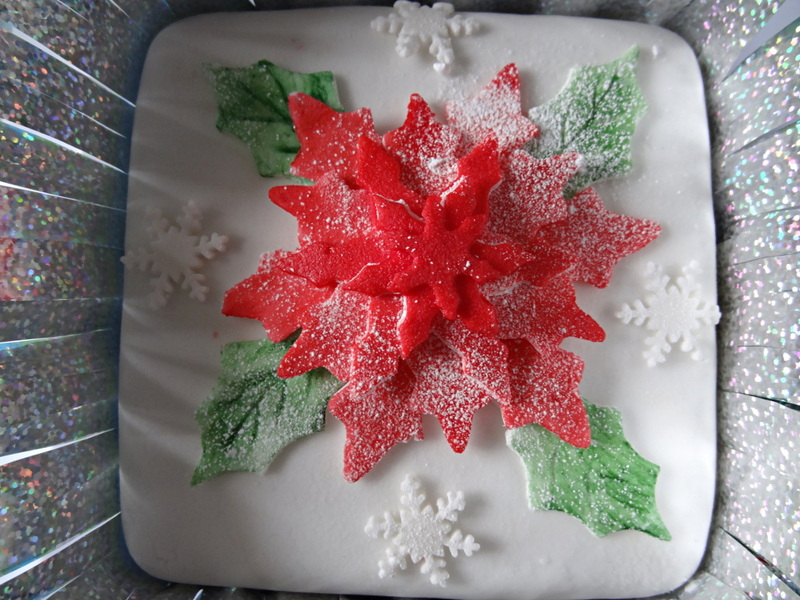 With a little dusting of icing sugar to provide a “snow effect”, the cake is complete. This may seem like a lot of work but I found that it did not take too long provided I stuck to variations on a simple theme and did not get sucked in to exploring design possibilities! Technical note: I made my own gelatin icing for decorating these cakes. 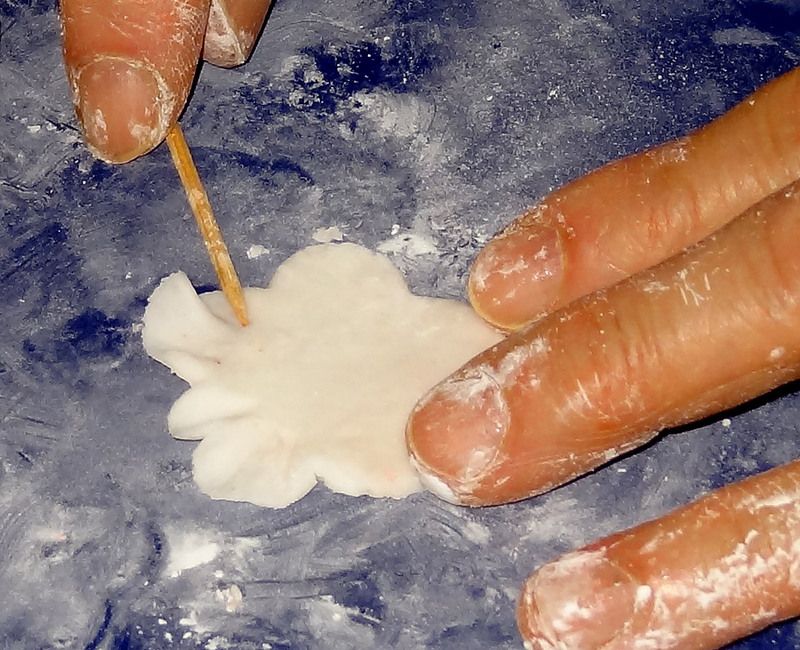 This is probably a little easier to form 3-D shapes with but regular fondant icing could also be used. This summer was a bit of a disaster for our vegetable garden including for our crop of peppers. Alex usually grows a selection of different types but only the chillies did well this year, with the the others barely providing a couple of meals. 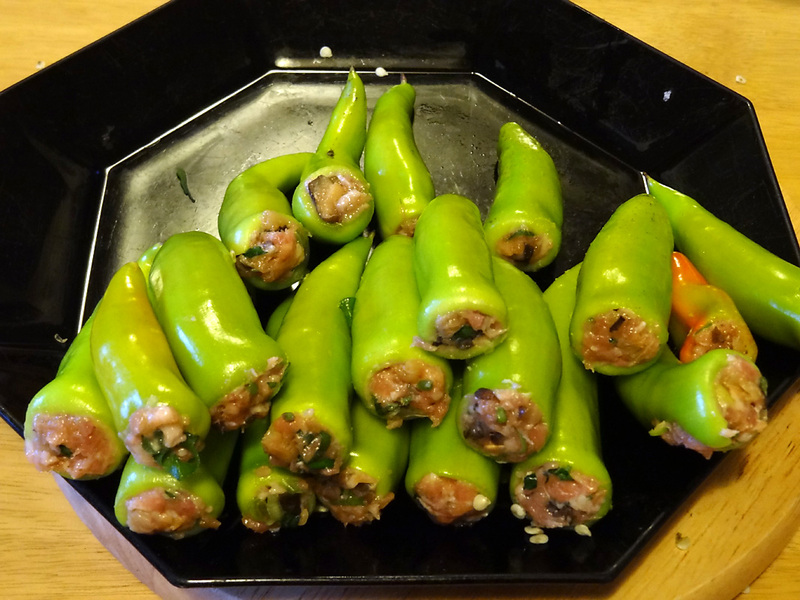 Still, we had enough from our “Hungarian Wax” variety to be worth making a batch of our favourite Chinese-style stuffed peppers, even though they were all very small. 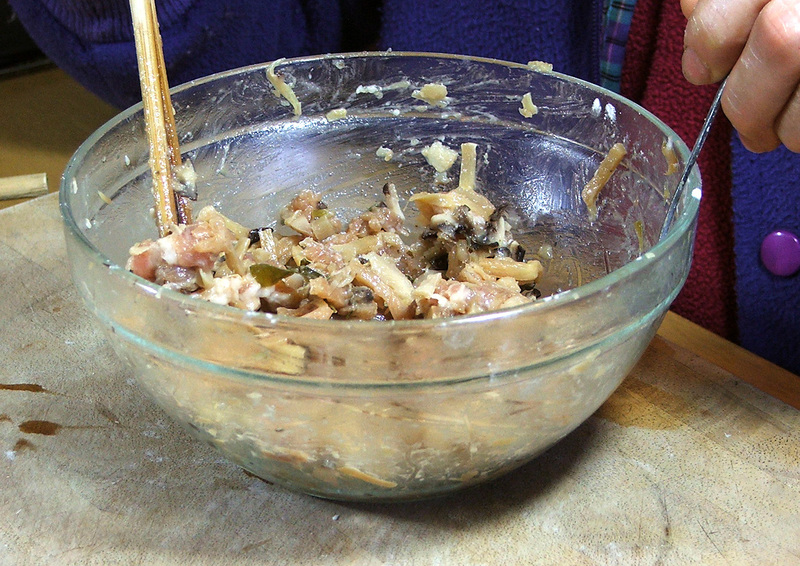 Chop the soaked cloud-ear and preserved vegetable, then mix all the stuffing ingredients together. At this point it is a good idea to cook a teaspoon of the mixture in the microwave for 30 seconds or so and check the flavour. Adjust if necessary. Deseed the peppers as shown in the photographs. 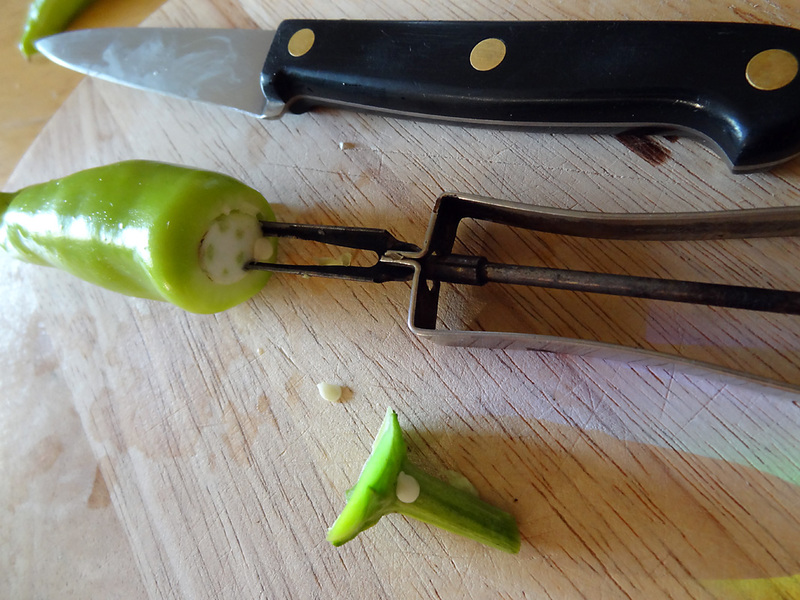 If you have large peppers, e.g. 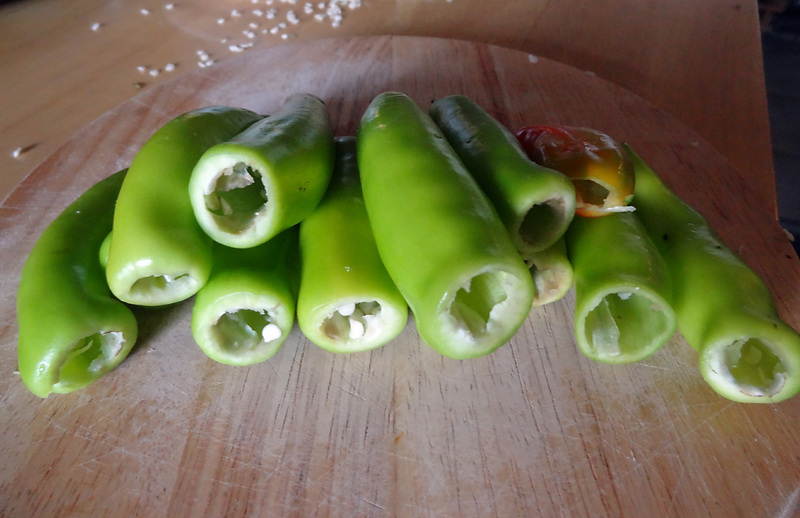 bell peppers, then these are best cut in half. 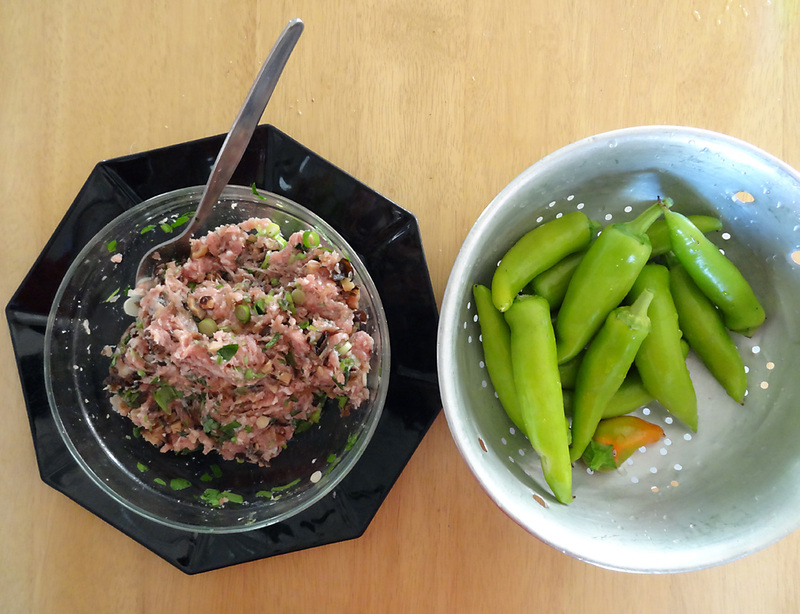 With very small peppers such as those shown, stuffing can be a fiddly business. I use a blunt ended wooden chopstick to push the filling in but I am sure you could come up with many other suitable alternatives. 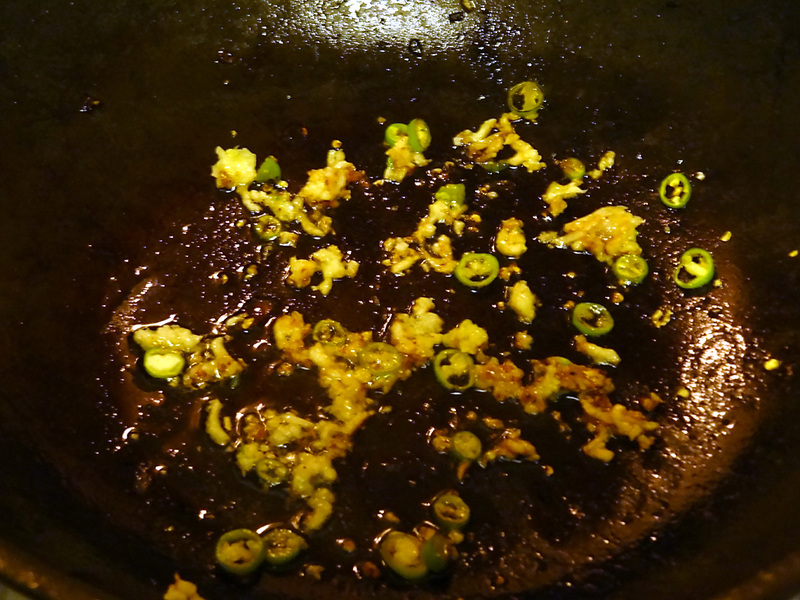 Heat two tablespoons of oil in a large frying pan or wok with a lid. 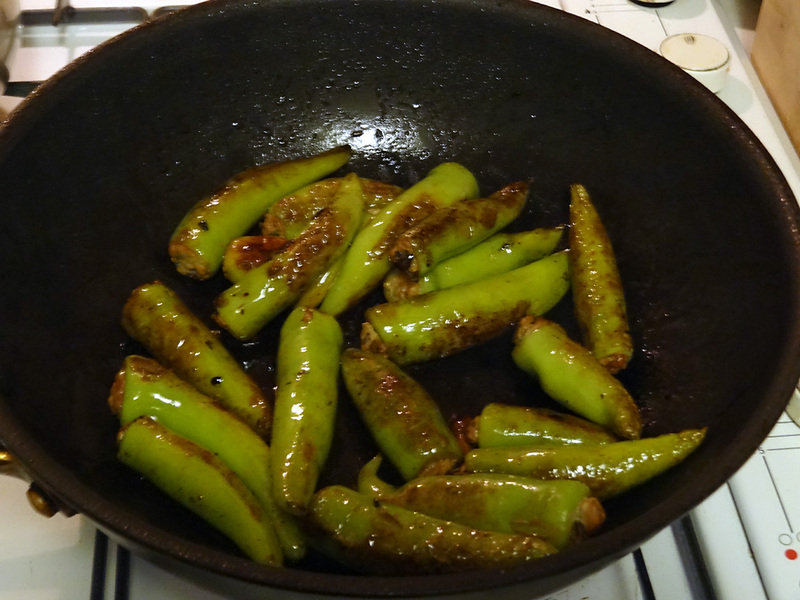 Fry the peppers on a medium heat for around 10 minutes, keeping them covered with a lid except when stirring. 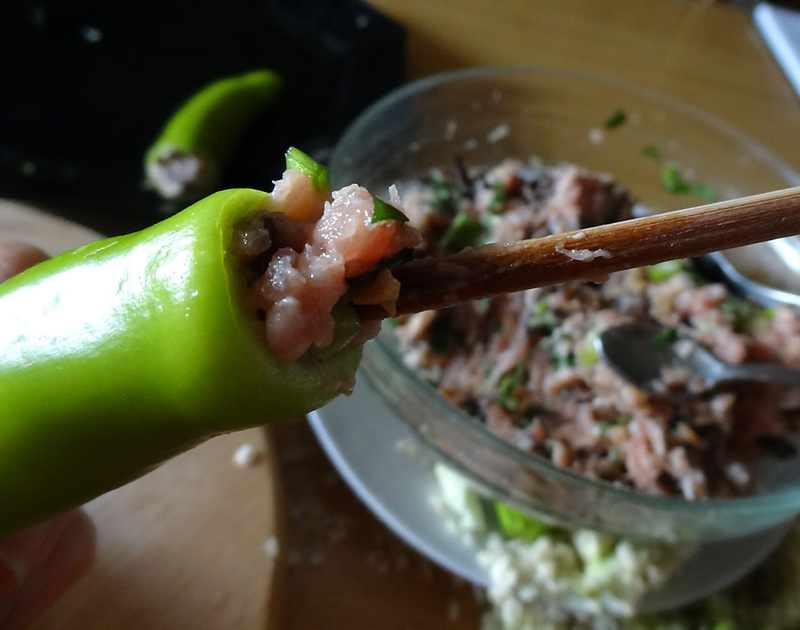 If you are unsure about the cooking time then you can cut one pepper open to check that the meat is cooked through. and thicken with a little cornflour mixed with water. Pour sauce over the peppers and serve. It has been far too long since I last posted on my other passion in life, which is food. 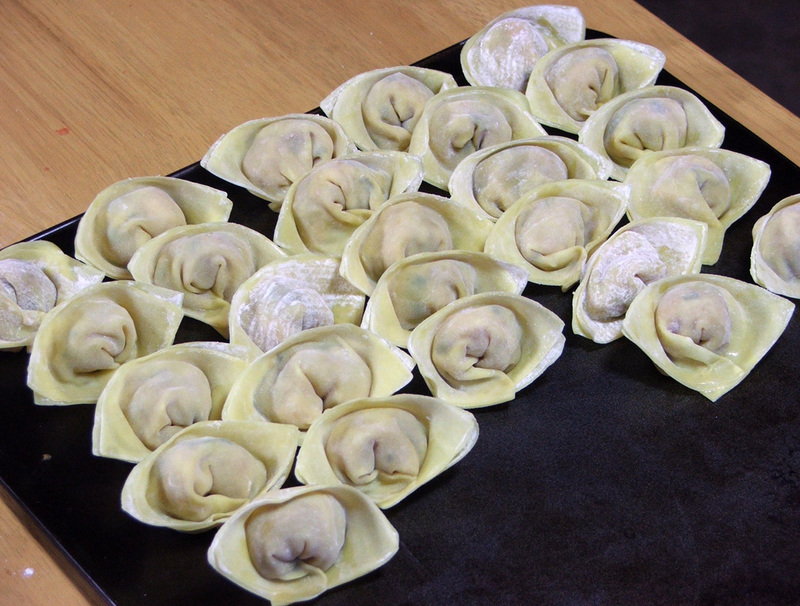 special Chinese ingredients, making them is well worth the effort. unruly child, etc.) could become your willing slave! 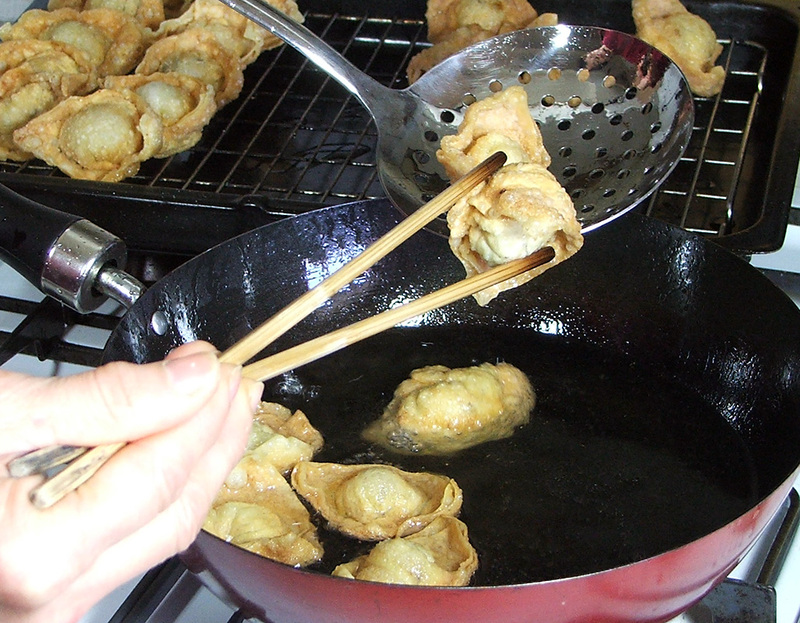 Deep-fried wonton are seriously tasty! 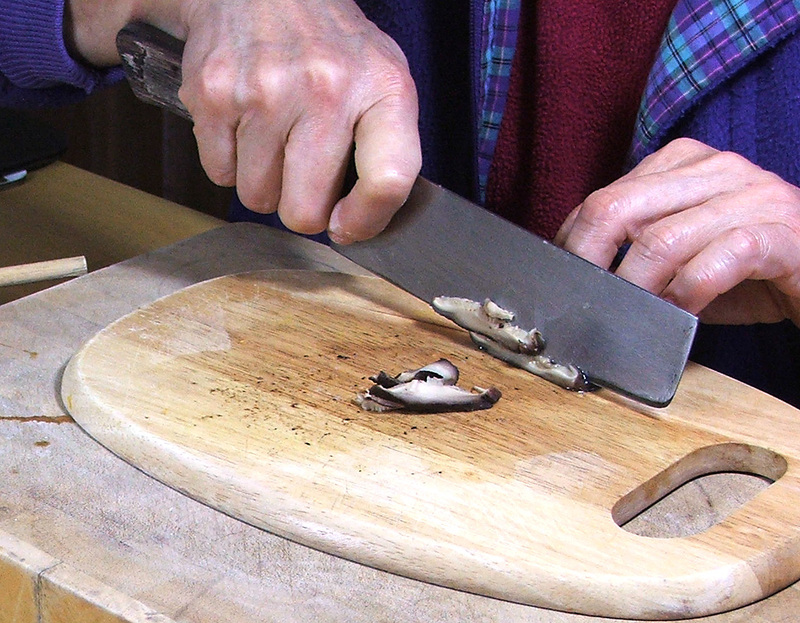 Fry the garlic for a minute or two, then add the ketchup and the other ingredients and stir well. Check the taste and add a little pinch of sugar if required. 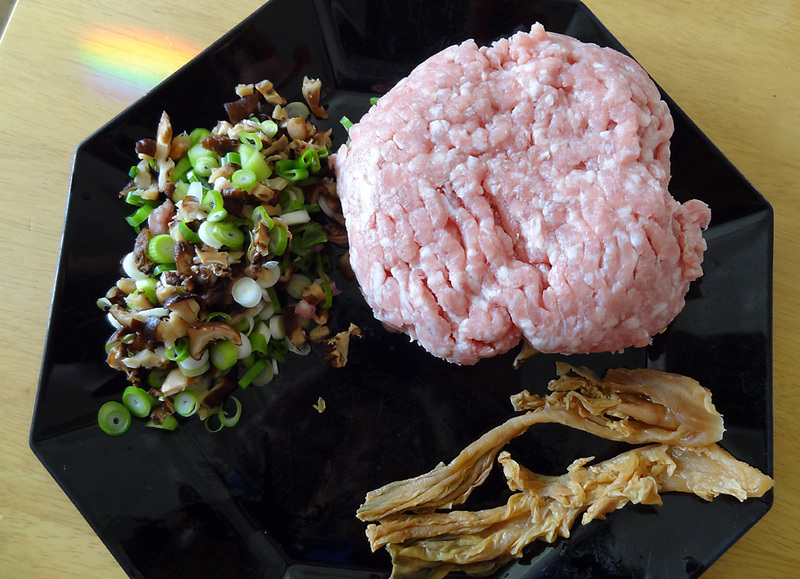 Prepare the ingredients for the filling but do not chop the ingredients too finely for a better texture. 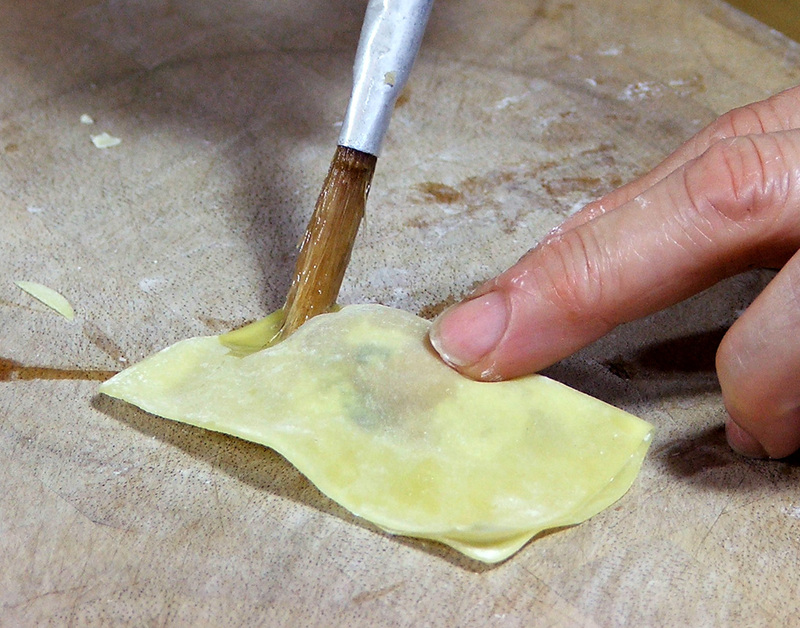 To prepare a wonton, place a single wrapper on a chopping board or similar surface. 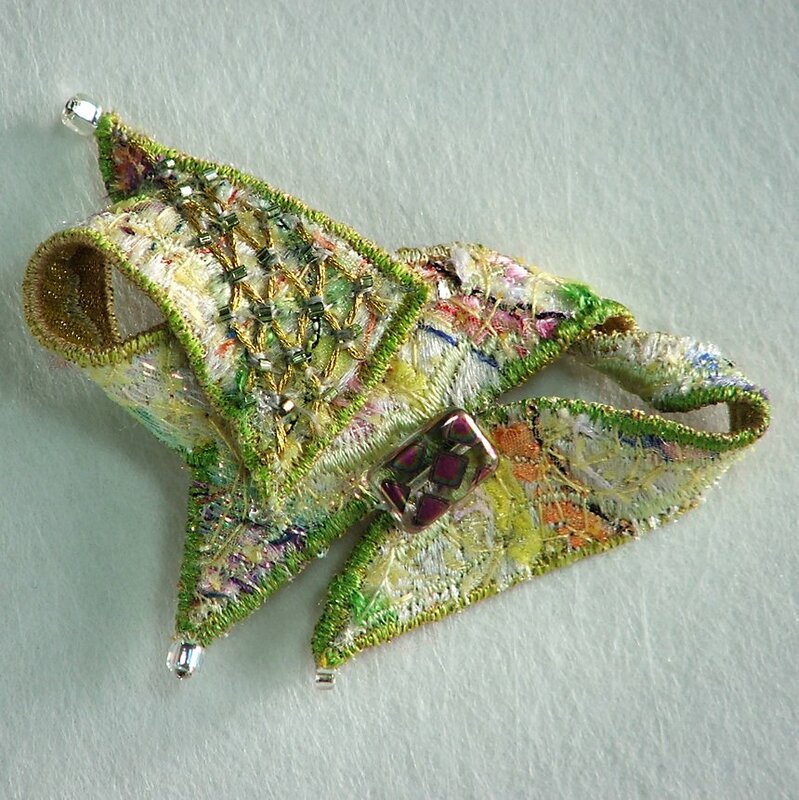 Place a heaped teaspoonful of filling in the middle of the wrapper. Do not overfill or it will burst while frying. 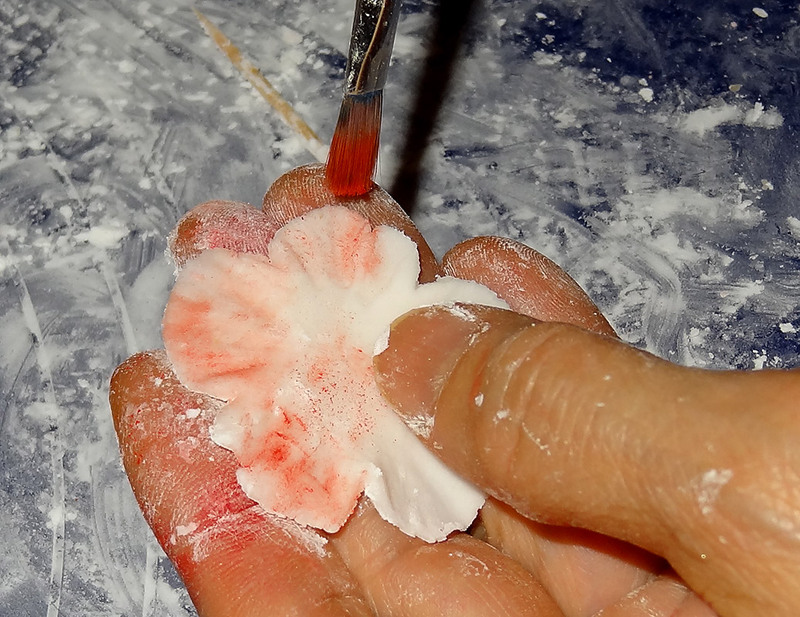 Brush some egg white around half of the wrapper edge, then fold over the filling. 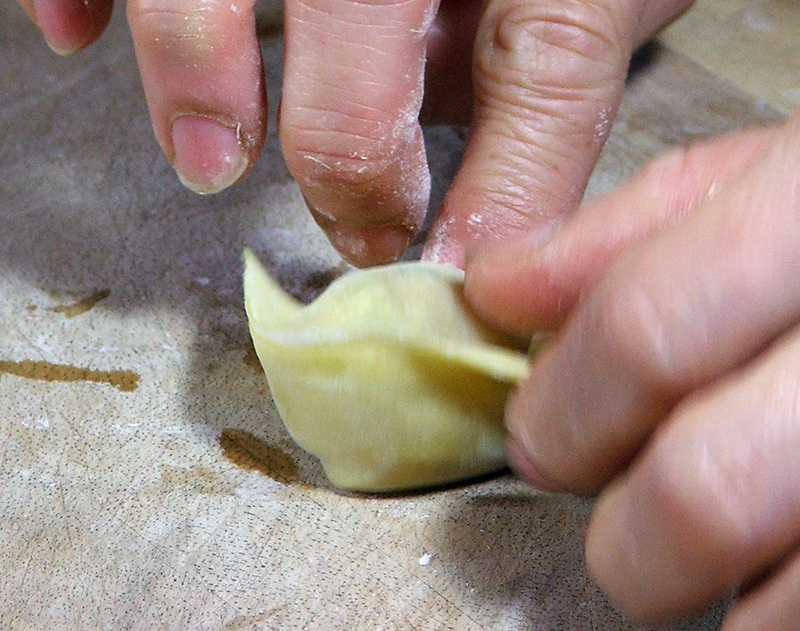 Press around the edges to seal them together. 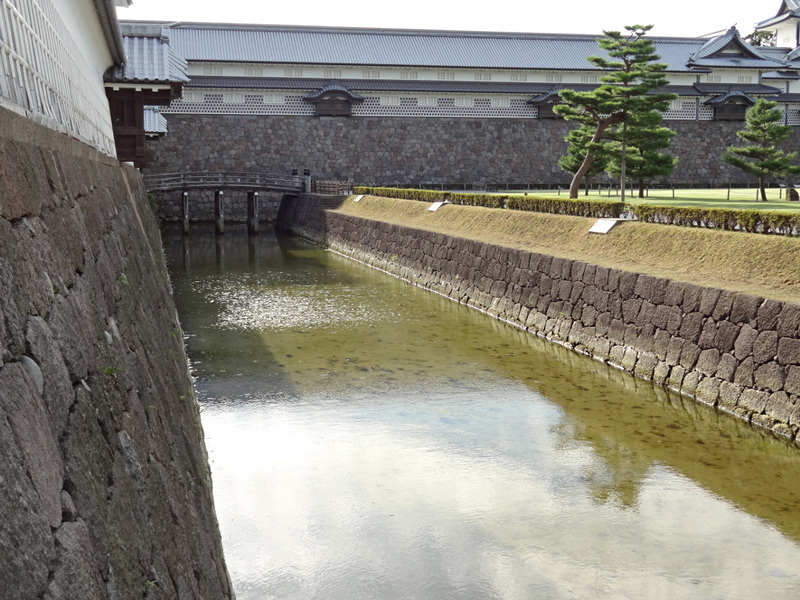 There should be no gaps. 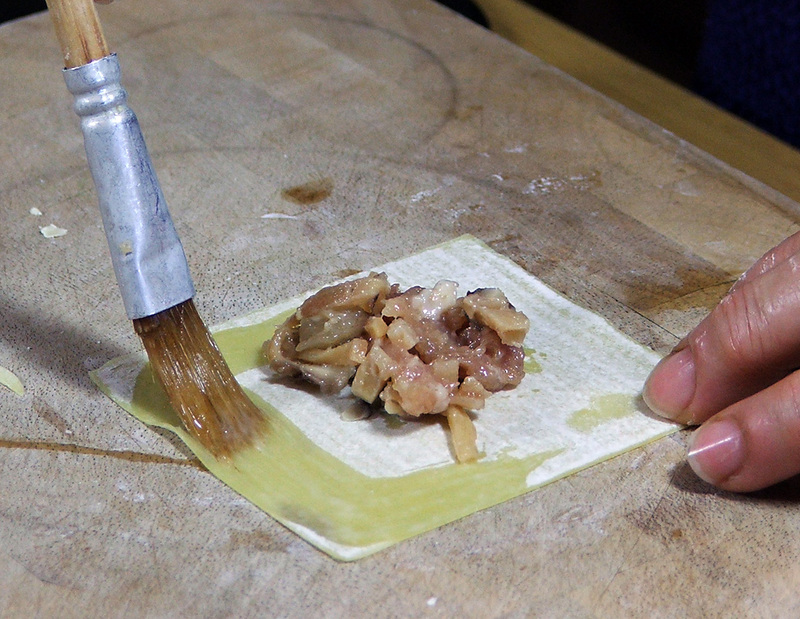 Next apply a dab of egg white in one corner on the side with the folded edge. 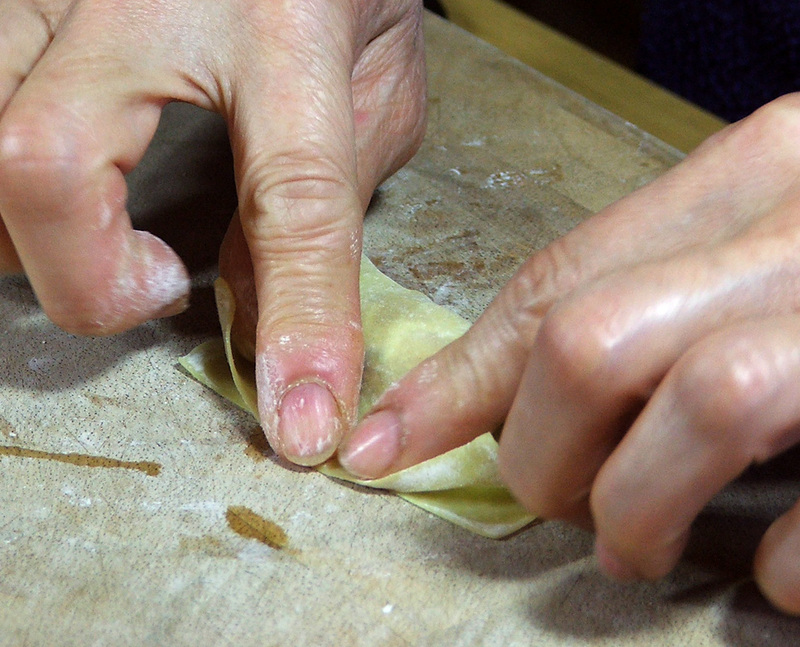 Now pull the two corners of the folded edge over one another and press them so that the egg white sticks them together. 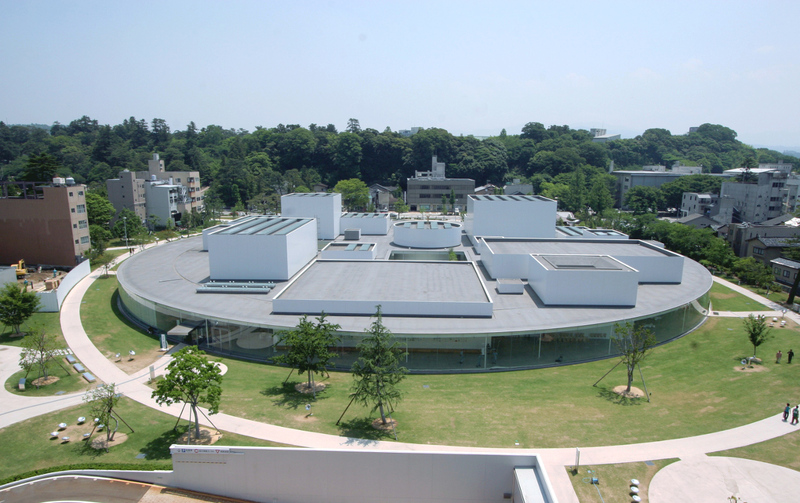 The shape should twist into a sort of “boat” shape. 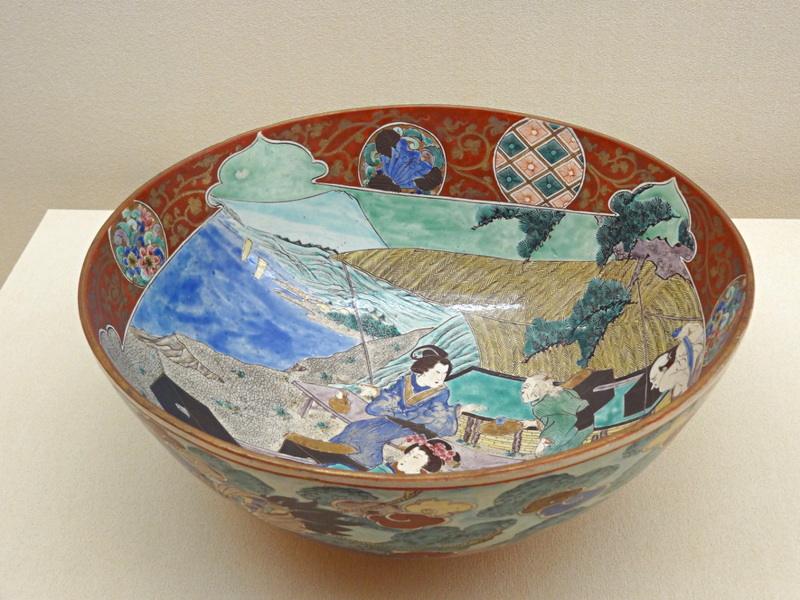 This “boat” (or hat) shape is a traditional lucky shape for Chinese. 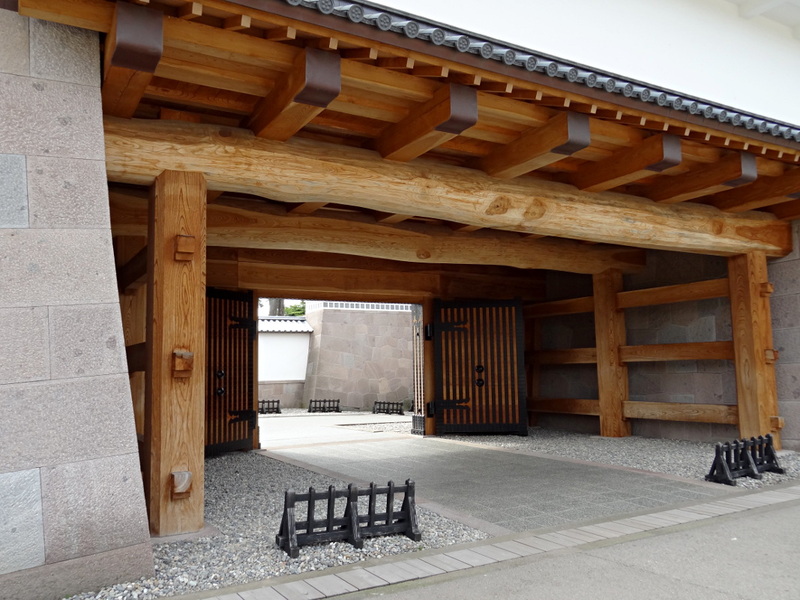 It resembles the shape traditionally used for precious metal ingots. 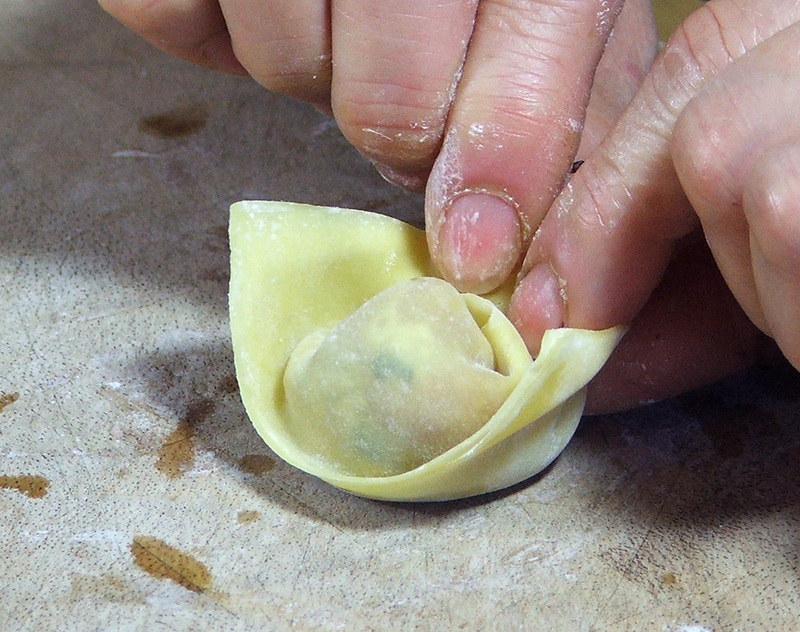 Continue filling wonton until you have run out of filling or wrappers. 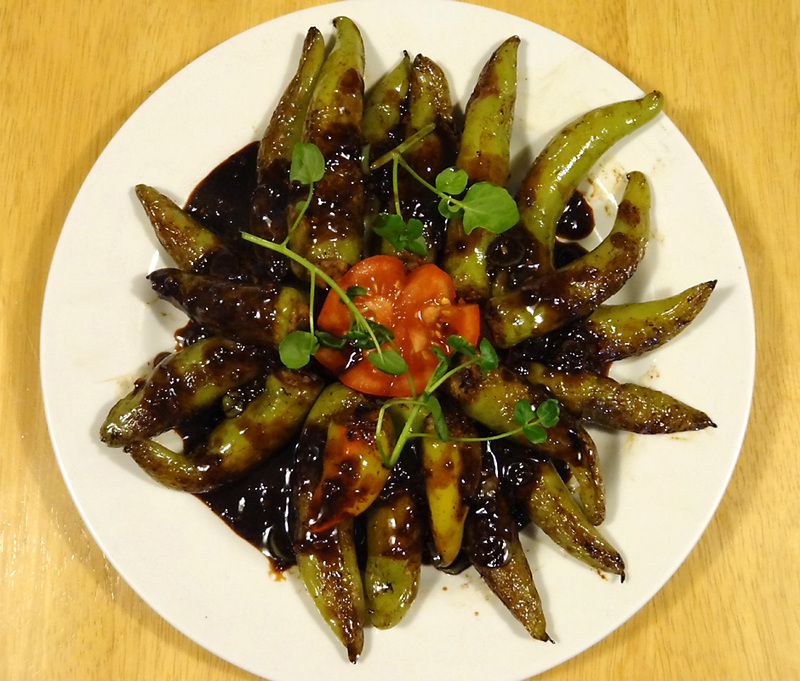 You are then ready to fry them but first you should mix the sauce ingredients if they are going to be served hot. 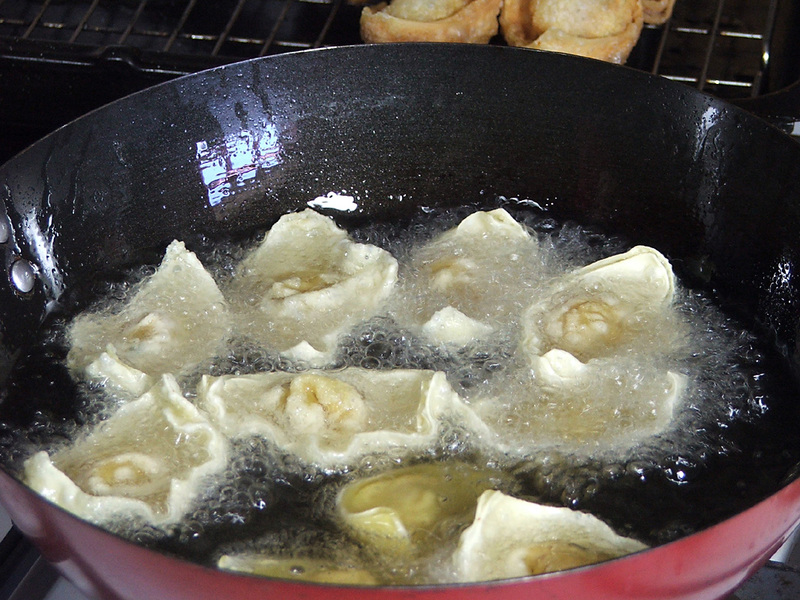 Deep fry in small batches in moderately hot oil. 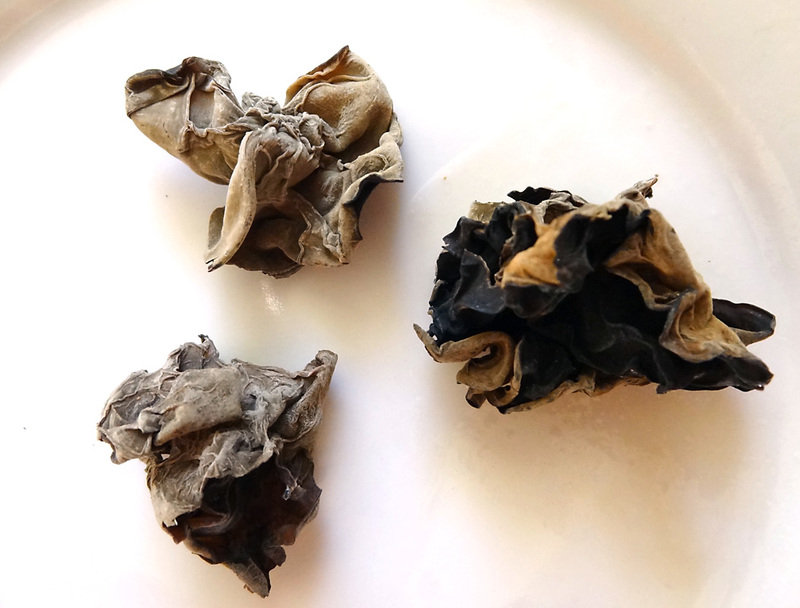 The filling should be cooked by the time the wrapper is golden and just darkening on the edges. 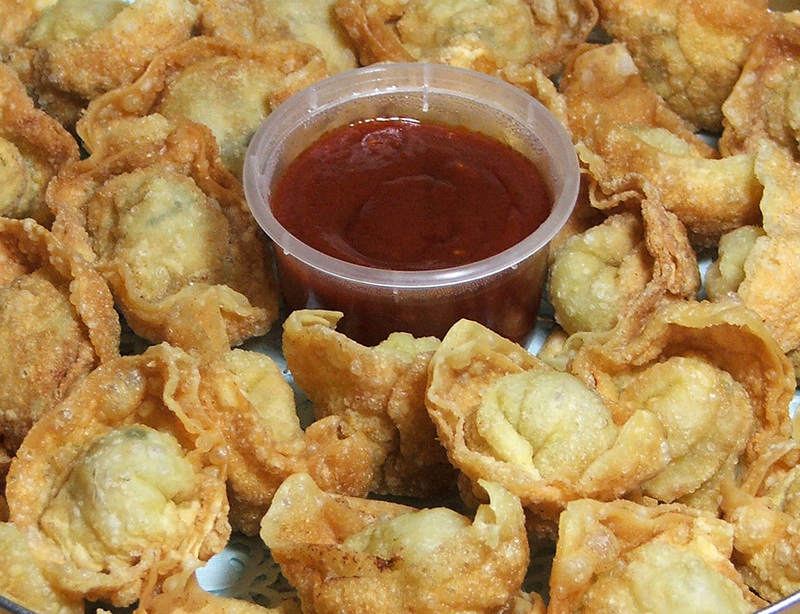 Wonton are best eaten hot but are also an excellent cold snack.